Celebrating 26 years of providing outstanding STEM programs in Tampa Bay! Education is the core. Technology is the tool. Success is the result! TechStars has come a long way. What began as COMPUTERTOTS preschool technology programs is now TechStars STEM classes for all ages. Whether it's exploring technology while building skills in preschool, using digital microscopes or cameras, using engineering to enhance math and science skills , or programming videogames or robots, TechStars classes are filled with exceptional educational content and FUN! 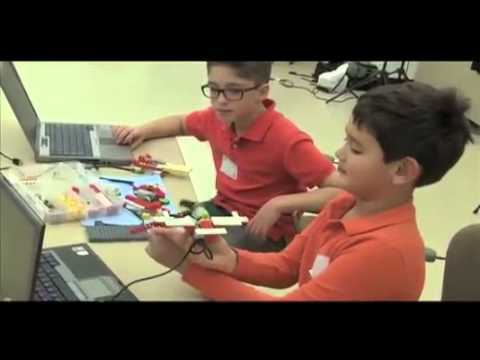 TechStars also provides a complete technology program for grades K-8 based on a comprehensive scope and sequence and includes exciting STEM classes. Our turn-key curriculum uses project-based learning, and integrates your core curriculum. Our standards meet and exceed the National Educational Technology Standards.